Baptism at Bardia is designed as a solitaire game of the 3rd of January 1940 attack by the 6th Australian division on the Italian garrison of Bardia as part of General Wavell’s Operation Compass. The attack was the Australian army’s first division level operation in WW2 North Africa. 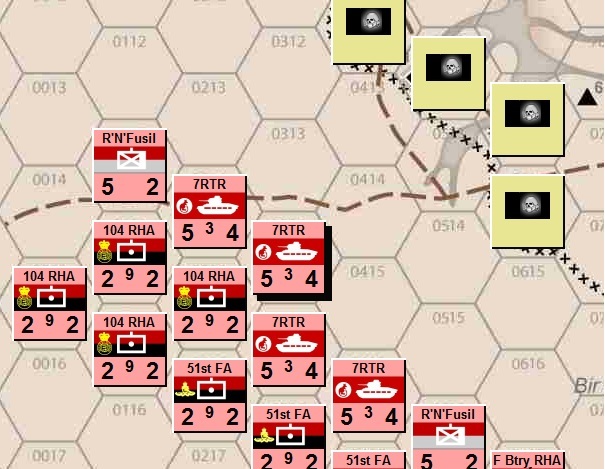 The player takes on the role of Australian Major General Mackay while the game’s system of priorities guides the player in controlling the individual Italian units under General Bergonzoli’s command in a manner designed to appropriately reflect the locally focused nature of the Italian defense.